Oppdaget starmap'en i dag. Ganske kult. Ikke sett før, har jeg noe å gjøre i kveld ser jeg! Reporting in from the PTU: it is amazeballs. 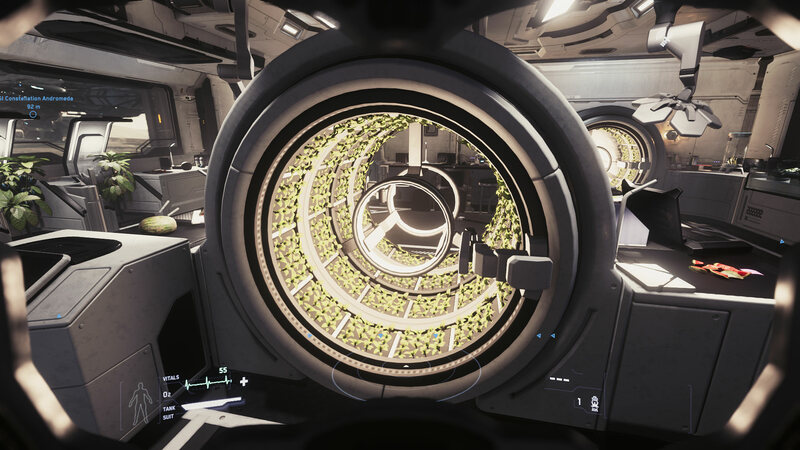 Star Citizen will get covered in piles and piles of awards. Nay-sayers were wrong. 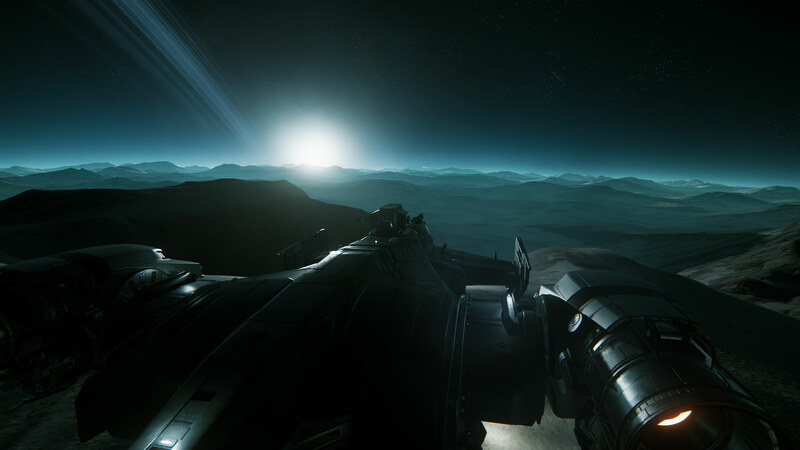 It is hard to convey how massive space is in Star Citizen. Youtube does not do justice to the sence of dread you experience when you realize how tiny you are in comparison. What they've managed to do with combining different physics grids for inside and outside ships is nothing short of amazing. EVA'ing is enormous fun on its own, even without ships involved, and we'll be doing lots of it. Authentic Star Trek experience when 'warping' in Quantum Drive. A lot of time will be spent just gawking at the planets below, just like real astronauts do. Ships still hard to fly, requiring lots of skill and much training above all else. It really is the best damn space game ever. The gap with anything that's been done in that genre in the last decade is going to be unsurmountable for the competition (yes, Elite: Dangerous, I'm looking at you too), because it's as wide as the one between a basic Risk game and any of the latest Paradox Grand Strategy games. Dette er jo i hvert fall litt godt nytt! Håper virkelig dette stemmer! Haha, ja du kan tro det. Star Citizen har nå rundet $100 millioner dollar i finansiering! Nok en rekord knust av dette spillet. Ser ikke ut til at det stopper opp med det første heller. Det er også kommet en ny versjon av alpha klienten, versjon2.0. Det er også lagt ut gameplay. Wow! $100 millioner via crowd-funding. Det er intet mindre enn veldig imponerende! Jeg har reinstallert spillet, etter at jeg fikk invite til testingen av universet. Men sist jeg kjørte HANGAREN, strevde spillet, så jeg tviler på at det går så bra. Hehe, litt det samme her. Sliter med å få steady 30 fps i 1080p i Hangaren. Kjører spill til vanlig i 60 fps i 1440p (og noen ganger 4k om spillet er godt optimalisert). Sweet! Så du har fått invite til PU/Persistent Universe? En tidlig alpha? Ta noen skjermbilder da! Har installert klienten, men ikke vært hjemme de siste dagene, så har ikke fått testet ennå. Det må bli over jul. Er uten pc i julen, som sagt. Dro hjemmefra i går! Du får kose deg uten PC'en Er godt det også av og til. We're excited to announce that we've opened up 2.1.0 on the Public Test Universe (PTU) to all players! 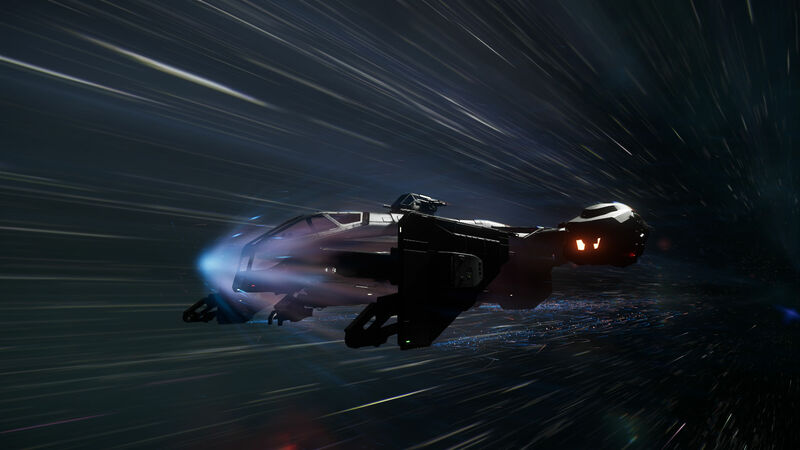 We've feverishly been working to get Star Citizen Alpha 2.1.0 ready, but we've discovered a couple of issues that prevent it from being a fully enjoyable and stable gaming experience (particularly, temporary significant drops in framerates). The last thing we want is to jeopardize all of the fun everyone's been having with 2.0.0, and certainly not over the entire holiday period! With that in mind, we'll be keeping 2.0.0 on the Live service and opening up 2.1.0 on PTU for all players! - PTU is not about "early access" to content; it's intended for actual testing of features, content, and updates. Opening PTU up is opening up the option to be a tester to help us accomplish near-term development goals. - You'll have 60GB+ of Star Citizen installed if you decide to play both on Live and on PTU: 30GB+ for the 2.0.0 client on Live, 30GB+ for the 2.1.0 client on PTU. Make sure you have enough space before you start the install! - We frequently update PTU with large patches. PTU is not advised for those with bandwidth/download caps. - Start the Star Citizen Launcher and log in with your normal credentials. - Once logged in, click the gear cog on the top right of the launcherto go to Options. - Click Copy Account on the lower right. - You'll get an email notification with the copy process is complete. This process can take up to an hour if there is a large concurrent influx of players all copying their account concurrently. This basically wraps up our year, and what a year it has been in building the BDSSE. We hope you enjoy your time on PTU and Happy Holidays from all of us here at Cloud Imperium Games! Leker meg med StarCitizen-alfaen. Finner ikke romskipet mitt, så jeg hoppet ut i rommet uten det. Grafikken er på "low". Har så lyst å spille dette. Se så vakkert! Ærlig, så ser det ganske så bra ut på "low" også Smelter grafikkort det spillet der! Hva er minstekravet for SC? Nærmest virkeligheten, kan f.eks eldre Gt/Gtx kort kjøre det? Tenker på Low settings. Ingen ferdige krav, men grafikkortet mitt er en HD6870. Er fortsatt i sparemodus for å kjøpe meg bedre skjermkort. Og ser ut til at det blir en stund til det skjer, men godt det er lenge til spillet kommer ut. Også denne HOTAS tingen du nevnte så rimelig kul ut! Kom over denne i dag. Star Citizen alpha 3.0 is the long-awaited patch that adds the ability to land on procedurally-generated planets. The patch was just released to the first wave of PTU testers and isn't available for everyone yet. More invitations will be sent later today. For those who did get the activation email, a new patcher installation is required - please see the instructions here. Expect bugs. It's currently in a stress test phase and not all the content is in yet (e.g. mission NPCs) but more will be patched in. Fortunately we have the delta patcher now so it'll be a much faster process this time around. We'll get more info on the single player campaign Squadron 42 at the holiday livestream in December. This patch is focused on the MMO side of things, although most of the underlying tech is applicable to both. Click thumbnails for full size. All images are in game. and one huge asteroid, Delamar, which has the Levski landing zone. There are outposts and wrecked ships to find on the surface. You can find these by exploring or might be directed there by the mission system. Cargo - buy and sell commodities. Cargo can be seen in ship storage. Grouping: Joining a friend's game works. You get on the same server as them and it automatically adds you to their party. - Incremental patching. After the initial ~35GB download, further updates have been around 500MB each. "Where are those procedural cities we saw at Citizencon?" Those aren't in this patch, unfortunately. This quick start video by STLYoungblood is a good place to start. This patch includes a hint system for new players. The base game package is $45 for Star Citizen (the MMO) and you can add Squadron 42 (the single player campaign) for another $15. Discounted starter packages will be available on Dec 1. These are usually around $5-10 off. "Persistent Universe" is the main one that has the new content. Players spawn into shared instances of the Crusader star system which currently are holding around 50 players. Frame rate tends to drop as more players join, although not as much as in the last patch. "Arena Commander" has dogfighting and racing in smaller instances (or offline) which tends to have better performance. "Star Marine" is for FPS matches. Check out our Star Citizen community thread for more info on the game and our player org, [E503] Starbound Universal. Er visst en del playthroughs på Twitch, men har ikke fått sett noe der ennå. Har ikke fått sett videoen selv ennå, men kom over dette summaryet av videoen øverst nå i sted. For multicrew ship stations, they've got basic implementations of helm and weapons on the Idris (needed for the Gamescom demo) but they haven't done stations like Engineering yet. They have placeholders for NPCs to use in SQ42. The holosphere in the center of the Idris' bridge will eventually allow you to select targets and tell gunners to focus on them. This could be applied to other big ships with holospheres, but for now they're just working on the Idris. The 600i is considered to be in the Constellation size-class and filling a Luxury role. The recent ship configuration changes haven't changed that. It's too early to say whether the Javelin will still have modules. They've built out a Javelin for SQ42, but the version of the Javelin in the PU will be somewhat different as the games have different needs. There are a couple of ships in early stages of development which will use drones. "Salvage, repair and mining". Render-to-texture is intended to allow footage captured by players in-game to be displayed in-game, for example for news broadcasting. There will be transportation hubs/networks in big locations allowing you to get around quickly, like a Monorail. There'll be a few handcrafted high-detail areas in large procedural cities, and you should be able to use this transportation to get between those pockets. There will be undiscovered planets and/or systems which are not initially displayed on the starmap. In the long-term they still want a way for players to "agent smith" into a friend's NPC, allowing friends to play together even if their main characters are far apart. They haven't fully decided how they'll regulate traffic on city planets yet. They want you to be able to fly low between buildings 'cause it's fun, but they don't want you to crash into open populated areas where a bunch of players could get hurt. Crashing into buildings is more acceptable because the buildings won't get damaged. Modular spacestations will have docking collars to accommodate large ships. And the Idris specifically is able to land on planets. Leste de skulle innføre mulighet for å kjøpe landområder på planeter? Tidenes ponzi scheme dette snart. Alle de pengene folk har lagt inn i dette spillet, og en ekstrem lang utviklingstid. New Sneak Peak from Squadron 42. Also a new interview with Tony Zurovec the director of the Persistent Universe. CIG is trying to get Service Beacons out with 3.1, but since they're switching to a quarterly release system it's hard to predict. They think they'll have first-pass functionality for 3.1 covering a few kinds of services. You can name a price on the service you want, set limitations on the reputation of the service provider, set a time limit on delivery, limit the request to within your org. Services could be fuel, rescue after ejecting, combat assistance when you've been interdicted, or other services eventually. The game detects when your contract conditions have been satisfied, and automatically pays the service provider with money you placed in escrow when you created the request. The next step after basic resource trade will be tweaking components and selling those. The step after that would be creating components wholesale through manufacturers who you have a contract with. You should be able to create a service beacon request for marked cargo to be picked up and dropped off at some specified area. "He may be a thief, but he hasn't stolen a lot yet so it's not on his record", meaning he could get your cargo contract even if you've specified reputation limits. And then he could fence those goods if he wanted too. Fencing stolen goods will give you a fraction of their normal value. Most of the subsumption framework is coming together for 3.0, but there's still some iteration to be done to allow areas to be populated with appropriate content dynamically according to the characteristics of that area. They want to add a lot more encounters to the library they pull from and make them feel more natural/cohesive to the player. They're able to move to a time-based release schedule instead of feature-based releases because a lot of major tech is in-place. The bulk of the work going forward is incremental on stuff they've already built, meaning it can be delivered in smaller pieces. When a player is targeted by a bounty and they log off, their character remains in-world and vulnerable as long as they're in sight. When a player logs off out of sight, they're "safe", but the bounty won't "expire". Bountys must be resolved through an action. When a player has a bounty and they interact with public services and infrastructure, they'll "ping" their location to hunters. Bounties can be resolved by suffering consequences like fines, jail time or death depending on the severity of your crimes. Orgs will have their own reputations which are a byproduct of the reputations of the its members. Org leaders can set limits on the reputation of members so that they can be automatically ejected if they do something bad. So you control your org's reputation by restricting its membership to players who have the reputation you want. 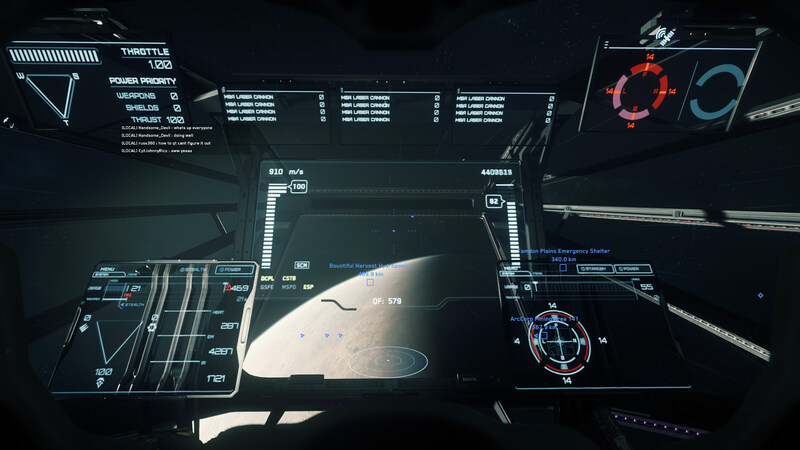 Noen som spiller star citizen ? //admin edit: slått sammen med hoved Star Citizen tråden. Spiller og spiller, har backet spillet siden 2013. Er med i et Corp, norsk ett faktisk. Ikke særlig aktiv ennå. Har heller ikke godt nok skjermkort i disse dager til å spille 3.0 versjonen. Digger detalj nivået! Skimtet bare kjapt gjennom filmen din, men at thrusters på utsiden av skipet beveger seg i forhold til hva du gjør er rimelig spaceporn. Er på slike ting EVE Online aldri fokuserte, men er trossalt noe ulike spill. ps, 1080p60fps er rimelig ok på YT for min del på PCen. Hvilken oppløsning spiller du i? 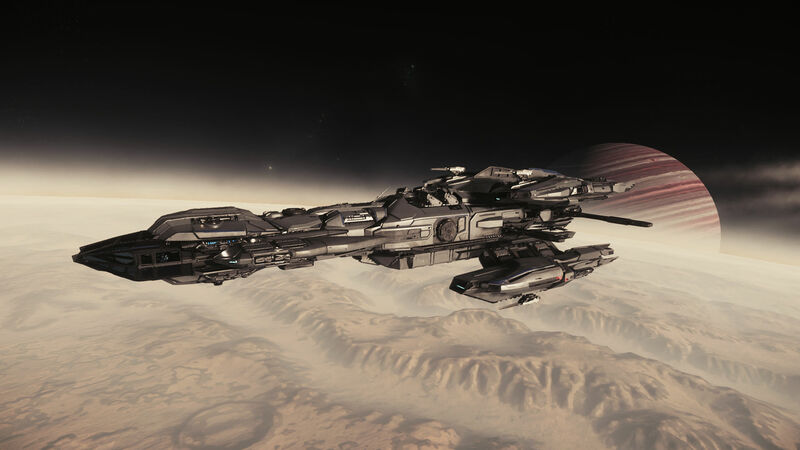 Star Citizen backers looking to build their own fleet can now buy a new ship pack containing 117 craft—nearly every ship in the game—along with 163 extra items, including upgrades, skins and in-game posters. It's a mere $27,000. Yep, you read that right. I'd tell you to click on the link for the Legatus Pack, but you'll only be able to view the page if you've already spent $1,000 on the open-world space sim. Altså, 8000kr bare for å åpne siden for å finne denne pakken?! 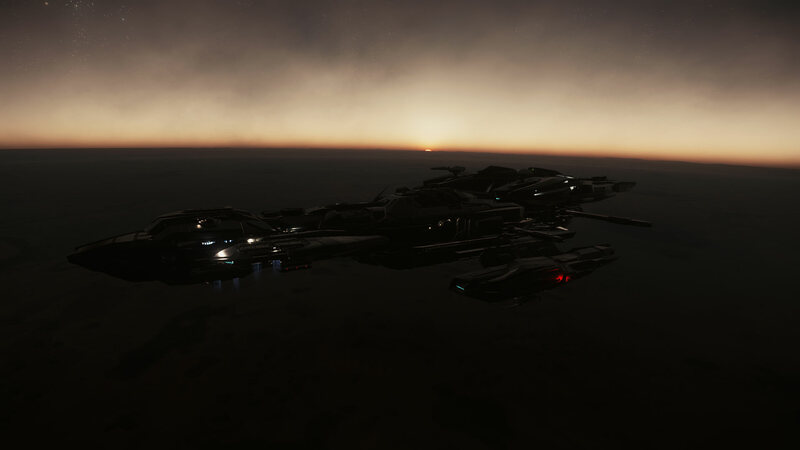 Javelin, Consolidated Outland Pioneer, 890 JUMP, Idris-P Frigate, Idris-M Frigate, Avenger Stalker, Avenger Titan, Avenger Titan Renegade, Avenger Warlock, Eclipse, Gladius, Gladius Valiant, Aegis Hammerhead, Reclaimer, Redeemer, Retaliator Bomber, Aegis Sabre, Sabre Comet, Vanguard Harbinger, Vanguard Hoplite, Vanguard Sentinel, Aegis Vanguard Warden, AEGIS Vulcan, Carrack, Anvil Crucible, Hornet F7C, F7C Hornet Wildfire, F7C-M Super Hornet, F7C-R Hornet Tracker, F7C-S Hornet Ghost, Gladiator, ANVIL Hawk, Anvil Hurricane, Terrapin, Xi'An Khartu-al, Nox, Nox Kue, MPUV Cargo, MPUV Personnel, Defender, Banu Merchantman, Mustang Alpha, Mustang Beta, Mustang Delta, Mustang Gamma, Genesis Starliner, Hercules Starlifter A2, Hercules Starlifter C2, Hercules Starlifter M2, Drake Buccaneer, Caterpillar, Caterpillar Pirate Edition, Cutlass Black, Cutlass Blue, Cutlass Red, Drake Dragonfly Black, Drake Dragonfly Yellowjacket, Herald, Esperia Vanduul Blade, Esperia Vanduul Glaive, Prowler, P-52 Merlin, Kruger P-72 Archimedes, MISC Endeavor, Freelancer, Freelancer DUR, Freelancer MAX, Freelancer MIS, Hull A, Hull B, Hull C, Hull D, Hull E, Prospector, MISC Razor, MISC Razor EX, MISC Razor LX, Reliant Kore - Mini Hauler, Reliant Mako - News Van, Reliant Sen - Researcher, Reliant Tana - Skirmisher, Starfarer, Starfarer Gemini, 100i, 125a, 135c, 300i, 315p Explorer, 325a Fighter, 350r Racer, ORIGIN 600i Exploration Module, ORIGIN 600i Touring Module, 85X, M50, Origin X1, Origin X1 - FORCE, Origin X1 - VELOCITY, Aurora CL, Aurora ES, Aurora LN, Aurora LX, Aurora MR, Constellation Andromeda, Constellation Aquila, Constellation Phoenix, Constellation Phoenix Emerald, Constellation Taurus, RSI Orion, Polaris, RSI Ursa Rover, Tumbril Cyclone, Tumbril Cyclone AA, Tumbril Cyclone RC, Tumbril Cyclone RN, Tumbril Cyclone-TR, Tumbril - Nova Tank, Captured Vanduul Scythe. Origin Rover, F7A Military Hornet Upgrade, Endeavor Bio Dome (2x1), Endeavor Bio Dome (2x1), Endeavor Supercollider (2x2), Endeavor Service Equipment & Crew (2x1), Endeavor Fuel Pod (2x1), Endeavor Landing (2x1), Endeavor Medical Bay (2x2), Endeavor Research Lab (2x1), Endeavor General Science (2x1), Endeavor Telescope Array (2x1), Retaliator Front Cargo Module, Retaliator Rear Cargo Module, Retaliator Front Dropship Module, Retaliator Front Living Module, Retaliator Rear Living Module, VFG Industrial Hangar, UEE Land Claim License Lot Parcel, UEE Land Claim License Estate Parcel, GreyCat Lot Geotack Planetary Beacon, GreyCat Estate Geotack-X Planetary Beacon, Outpost Construction Material, Greycat PTV, Set of 9 Campaign Skins, Electro Skin Hull, Ribbon Fish (Vario Vittas), Thorshu Grey, Menarik, Oshi, Vindel, Midas Fish, Fishtank Mark 1, Origin Racing Suit, Model II Arclight Sidearm, "Be A Hero" Poster, "We Want You" Poster, "350R" Poster, "Cutlass" Poster, "Freelancer" Poster, "Hornet" Poster, "Retaliator" Poster, "Gladiator" Poster, RSI Constellation poster, Murray Cup poster, UEE Environment Coat, E&I M34 Restraint System, FACTION-9 Baton, Hartwell Music Sentinel 88G, Skull and Crossbones Skin, 600i Poster, Takuetsu 600i Model, Takuetsu Origin 890 Jump, 890 JUMP Poster, Anvil Carrack Poster, Takuetsu Carrack model, Takuetsu Cyclone Model, Tumbril Cyclone Poster, Defender Poster, Takuetsu Defender Model, Drake Dragonfly Poster, Takuetsu Dragonfly Model, MISC Endeavor Poster, Takuetsu Endeavor Model, Takuetsu Genesis Starliner Model, Genesis Starliner Poster, AEGIS Hammerhead poster, AEGIS Hammerhead model, Drake Herald Poster, Drake Herald Model, ANVIL Hawk Model, ANVIL Hawk poster, Takuetsu Hull C Model, Hull C Poster, Takuetsu Hurricane Model, Anvil Hurricane Poster, Tumbril Nova Tank Poster, Tumbril Nova Tank Badland Box, Tumbril Nova Tank Badland Model, Tumbril Nova Tank UEE Army Box, Tumbril Nova Tank UEE Army Model, Tumbril Nova Tank Badland Skin, Tumbril Nova Tank Snowblind Skin, Takuetsu Nox Model, Nox Poster, RSI Orion Poster, Takuetsu Orion Model, Consolidated Outland Pioneer Model, Consolidated Outland Pioneer Poster, Takuetsu Polaris Model, Polaris Poster, MISC Prospector Poster, MISC Prospector Model, Prowler Poster, Takuetsu Prowler Model, Aegis Reclaimer Poster, Takuetsu Aegis Reclaimer, Takuetsu Terrapin Model, Terrapin Poster, Vanguard Harbinger Poster, Vanguard Harbinger Model, Vanguard Sentinel Model, Vanguard Sentinel Poster, Takuetsu Hoplite Model, Hoplite Poster, Origin X1 Poster, Origin X1 Model, Origin X1 Scarlet Skin, 85X Poster, Takuetsu 85X Model, Vanduul Blade Model, Vanduul Blade Poster, Drake Buccaneer Poster, Takuetsu Buccaneer Model, Takuetsu Anvil Crucible Model, Anvil Crucible Poster, Takuetsu Eclipse Model, Eclipse Poster, Alternative Eclipse Skin, Eclipse Logo Poster, Gladius Valiant Poster, Takuetsu Gladius Valiant Model, Hull A Poster, Takuetsu Hull A Model, Takuetsu Hull B Model, Hull B Poster, Takuetsu Hull D Model, Hull D Poster, Takuetsu Hull E Model, Hull E Poster, Takuetsu Javelin model, Javelin Poster, Argo Poster, Takuetsu Argo Model, Takuetsu P-72 Archimedes model, P-72 Archimedes Poster, Unique Eclipse Serial Stamp, Razor Poster, Takuetsu Razor Model, Takuetsu mini Retaliator Base, Retaliator Base poster, Takuetsu Aegis Sabre Model, Aegis Sabre Poster, Takuetsu Sabre Comet Model, Sabre Comet Poster, Starfarer Gemini Poster, Takuetsu Starfarer Gemini Model, AEGIS Vulcan Hazard Yellow Skin, AEGIS Vulcan CTR Livery Skin, UWC Service Uniform (Exclusive Early Bird VIP Item), 600i Name Reservation, Hammerhead Serial Stamp, Unique Polaris Serial Stamp, MISC Razor LX Serial Number - CR2018, MISC Razor EX Serial Number - CR2018, Star Citizen Digital Download, Squadron 42 Digital Download, Digital Game Soundtrack, Digital Star Map, Digital Making Of Star Citizen, Digital Engineering Manual, Star Citizen Digital Novella, Starting Money: 20,000 UEC. Fikk sett 2 bilder men likte de, laster ned i steam mappa mi så det går litt tregt så jeg får se resten siden av de bildene siden da. Låne skip? Er det en funksjonalitet? Hva vil da skje med forsikring og ikke minst ødeleggelse av en tredjepart? Ser for meg en exploit her hvis det ikke løses på en god måte. For livstid forsikring kan en vel ikke få lenger? Alle skip er forsikret når du kjøper dem, noen med 6mnd og andre med LTI. Forsikringspremien vil ikke koste(ingame penger) mye så det bekymrer meg ikke i det hele tatt. Hvis du krasjer skipet ditt ofte vil så klart forsikringspremien øke, noe som gjør at folk tenker seg om 2 ganger før de gjør noe dumt og mister skipet. How do I get lifetime insurance? Anyone who pledged for a copy of Star Citizen before November 26, 2012 automatically has lifetime insurance on their pledge ships; this protects the investment you made in the game in perpetuity. Anyone who pledged for a copy on or after November 26th starts with a finite insurance package for their ship. This can be anywhere from 2 months to 12 months depending on the ship and policy type. Lifetime insurance does not exist for modifications or cargo. Will ships I add to my account have lifetime insurance? Users who registered and bought at least one ship before November 26, 2012 can purchase additional ships with lifetime insurance for the next twelve months of development. Users who registered on or after November 26, 2012 can purchase additional ships with variable length starter insurance policies ranging from two months to twelve months. Can I trade my lifetime insurance ship? Yes. The lifetime insurance will follow the ship hull when it is legally sold or gifted. If the ship is stolen or otherwise captured, the policy will not transfer. Hehe, det kan bli en stund til. Skal flytte i sommer og må anskaffe nye møbler (går fra møblert leie til umøblert) pluss bil. Det hakket ganske bra forresten, selv en frames peasant so, meg syns det var til tider smertefullt. Fps er ikke bra i det hele tatt, men håper at den nye patch'en som kommer om noen dager skal løse noe av det.